Using philosophical words does motivate but in reality, all the team will need to work hard and must have the patience. For climbers and the tough hikers who had done many other crazy climbing and hikes may not apply those tough words. We are not saying we are going to trek over the hell but the main thing mentally needs to be strong to hike on this difficult trekking trails. There many trekking trails in Nepal suitable for a different range of fitness and experince level. Saying Most challenging and difficult doesn't mean we going to scale Mount Everest. The below-listed treks are just hard because of high altitude, cold, walking routes, amenities, weather and so on. Most Challenging Treks in Nepal "Get High Go BiG in the Himalayas"
1) Everest Three High Passes Trek. Trek Style: Tea House, Lodge, and Hotel. Best Seasons: March, April, May, September, October, November. Normally when people think of Nepal they don't want to miss the iconic peak Mt. Everest. Everest Three High Passes trek is not technical but extremely physical demanding three-week-long trek in Nepal. Renjo La, Cho La, and Kongma La Pass are the three high passes over 5,000 M (16,405 ft) on this trek. Everest High Passes trail is steep ascents and descents, passing high passes and crossing glaciers in some places but you will be rewarded which will be your lifetime experince. This 3 passes trek covers Namche, Renjo Pass, Gokyo Lakes, Gokyo Ri, Chola Pass, Lobuche, Gorakshep, Everest Base Camp, Kalapatthar, Kongma la Pass, Chukkung, Tengboche, and Lukla. Starting Point: Kathmandu - Lukla. Trek Style: Tea House, Camping, Lodge, Homestay. Kanchenjunga Circuit trek was all-time favorite trek for the extreme trekkers but for almost like decade it lost it's the charm and demanding of tourist because of the Maoist insurgency (during the civil war). Kanchanjunga used to be an organized trek (Camping) and obviously, costly trek in Nepal. Many of the Trekking agencies guides and owners also don't know how the Kanchenjunga trek trail looks like but it's listed on their website. It's easy to find the content writers to write in chic and charm but really, Kanchanjunga one of the beautiful treks in Nepal. To trek in Kanchenjunga, there must a local government registered guide and at least 2 people to make the trekking permits. Nowadays Kanchanjunga trek can be done as a tea-house trek but small lodges and very few varieties of food. 3) Rolwaling Tashi Lapcha Pass. Trek Style: Camping, Tea House, Lodges, and Hotel. Talking about this trek need quite technical knowledge because we will be crossing the Tashi Lapcha Pass (5,750 M) 18865 ft. Rolwaling is one of the hidden gems below the Mt. Gaurishanker and Everest region. We mentioned above about the lungs pumping hike and this is one of it where we do steep climbing, lots of patience, rock climbing and adventures journey. Rolwaling is a mixture trekking zone where we can see amazing glacier lakes, remoteness, landscapes, home of Sherpa climbers (rolwaling), monasteries, glaciers and a different kind of lifestyle. Rolwaling Tashi Lapcha Pass trekking starts from Gonggar village which is in Dolakha district and the trail will meet at Namche Bazaar after crossing Tashi Lapcha Pass. We will fly back to Kathmandu from Lukla Airport. Trek Style: Camping, and Lodge. Dhaulagiri Circuit Trek is always known as the most challenging trek in Nepal Himalayas. Dhaulagiri is a difficult trek because we need to organized everything on this trek. It's a camping trek need to carry each and everything for this trek. There is no comfort or basic lodges on this trail. Mt. Dhaulagiri is the world six highest mountain and it rises at (8,167 M) 26795 ft. Dhaulagiri trek starts from Beni and the trek ends at Jomsom Muktinath. Challenging in another way because we need to walk over 5,000 M (16,405 ft) for 3 days. 5. Ganja La Pass Trekking. Best Season: March, April, May, September, October, November. Our guides use to say "Days will be Hard, Night will be worse but still, the Ganja La Pass Trek is worth" and must do once in a lifetime. Ganja La pass is in the Langtang region and the trek starts from Syabrubesi after 7 hours drive from Kathmandu. On this trail, we will be visiting Langtang valley, Kyngin Gompa, Chorkari Ri (5,050M) and the trek ends at Helambu Melamchi Bazar. This trek offers a Tibetan culture, Tamang villages and their different kind of lifestyle under the Himalayas. For Ganja La pass trek we need technical climbing equipment and the trekkers must need to learn basic skills of climbing. Rugged Trails Nepal guide will teach before crossing the Ganja La Pass and also we need tents and other camping equipment for 3 days. Not only the above-listed treks are challenging and difficult but there are many other trekking trails in Nepal which are undiscovered. Some trek routes fair and challenging with beautiful views but we have not listed them because of many reasons with security and easy access to organize. Let's say Far West Nepal trekking routes such as Api-Himal, Saipal, and other routes are a hidden treasure of Nepal. Other popular trekking routes such as Manaslu Circuit, Upper Dolpo, Makalu Base Camp are also the difficult trekking routes in Nepal. 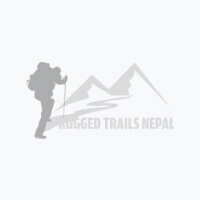 Connect with Rugged Trails Nepal team leader to book the treks and also for any kind of trek information.